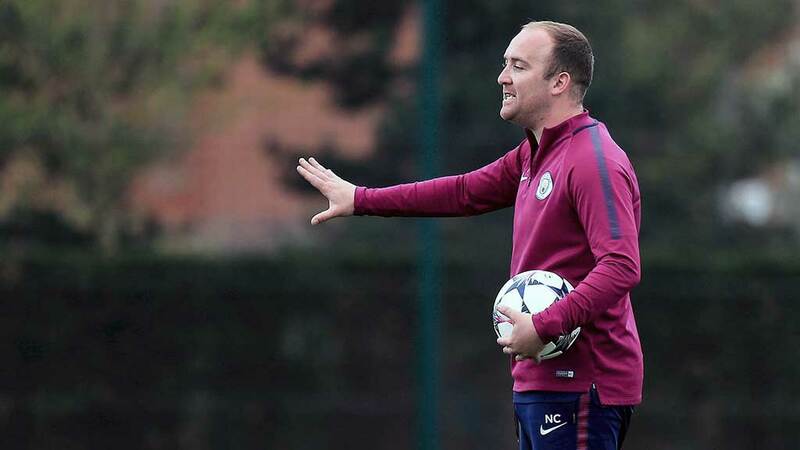 Nick Cushing says Manchester City won’t be taking Chelsea lightly when the pair clash in the Continental Cup semifinal at Kingsmeadow on Wednesday night. Defending FA Women’s Super League champions and FA Cup winners Chelsea trail Cushing’s current league leaders by six points and have a significantly inferior goal difference compared to the 2014 and 2016 Continental Cup winners. The pair meet for a 17th time in just five years since City gained themselves an FA WSL license in 2014 and will be looking for a repeat of last year’s 1-0 victory at the same stage of the competition and at the same venue. “Whether people think they’re out of form or have lost games, we won’t be taking them lightly,” said Cushing. The pair are no strangers to each other in cup competitions with six of their previous 16 meetings having come across the two domestic cup competitions. Amazingly, they are yet to meet each other in a major cup final and that wait will go on with the winners set to meet either Arsenal or newcomers Manchester United in the final later this month. Of their six previous cup meetings, five have been semifinals, making this the sixth and weirdly, Man City has won both previous Continental Cup semifinals but Chelsea have won all three of their FA Cup semifinals. It’s also not lost on the City boss that the majority of their meetings have come at Chelsea, whether at their current home Kingsmeadow or their previous home at Staines. Cushing’s side are yet to play any of their six semifinal meetings at home, with two FA Cup semifinals and two Continental Cup semifinals coming being played at Chelsea’s home, while the 2014 Continental Cup semifinal saw Man City drawn at home but the game played at a neutral venue in Manchester. The 2015 FA Cup final saw Chelsea drawn at home but the game played at Adams Park in Wycombe. “Last year, the year before, we’ve played them in a semifinal. We’ve done it so much and we’ve played evening games so we’re used to that, we went there for an evening game in the league last year. Both managers will likely have a selection headache with both now largely able to call upon fully fit squads, something Cushing in particular hasn’t had the luxury of for 18 months. But the return of Megan Campbell in Saturday’s FA Cup win against Watford now means he has every first-team player available while Emma Hayes has been able to welcome Maren Mjelde back to the squad, as well as give a debut to new goalkeeper Ann-Katrin Berger. Cushing was able to rest several first-team players on Saturday with City facing lower league opposition, a luxury not handed to Hayes, with the situation complicated further by the fact the pair meet in the league at the weekend, just four days after Wednesday’s semifinal. “We rested Jen Beattie and Jill Scott completely,” said Cushing. “Caroline Weir was on the bench but we didn’t want to use her, she didn’t have her kit on. We planned to use Nikita [Parris] because when you’re scoring you want to keep scoring and she did that. Two more goals means going into that Chelsea means she’s on fire and full of confidence. Hayes has a big decision to make up front with Chelsea still wasteful in front of goal and the Blues boss started both Fran Kirby and Ramona Bachmann on Sunday after they were both on the bench for the recent league defeat against Birmingham City. Is it a sign both will be back on the bench this week with Beth England, in good form, rested completely? With two big games in quick succession it’s likely Hayes will rotate but with Chelsea’s league hopes all but gone, it’s likely the priority will be reaching the Continental Cup final, something Chelsea has yet to do in five years. There’s unlikely to be too many surprises in Cushing’s lineup with his strongest starting eleven easier to predict than Chelsea’s and it’s likely Beattie, Scott, and Weir will all return to the starting lineup along with the in-form Parris. Cushing, though, does have a big decision to make in goal. Ellie Roebuck has missed the last two games since returning from Qatar with a concussion. The youngster warmed up with Karen Bardsley and Fran Stenson before Saturday’s game and the Chelsea clash falls exactly 14 days after England’s training camp ended, which is the recommended period of time out for concussion.